A live, online, interactive review of the Second Draft Michigan Revised Proposed State Sanitary Code gave the opportunity to post comments either publicly or in confidence via TXT. A bill to amend 1994 PA 451, entitled “Natural resources and environmental protection act,” (MCL 324.101 to 324.90106) by adding part 50 is pending. Introduction by State Rep. James Lower. Very little is known about how this discussion process was initiated or conducted, with the details of the proposed Draft not widely distributed. WasteWater Education 501(c)3 Board, which includes 2 Michigan, one Ohio, one Illinois and a State of Louisiana Regulator will host a discussion work session to examine the Second Draft, do interactive ‘mark up’ and receive comments. The PDF of the Second Draft may be viewed by activating the link ‘MICode’ below. James Lower, State Representative Michigan’s 70th House District was invited to attend and did not respond. Below is a summary of the comments received and selected audio clips. A full transcript of redacted comments will be posted tomorrow. Here is a text transcript of a selection of the commentary and comments received. The last time a question was asked on the US Census concerning how properties received sewage treatment was in 1990. However, in the intervening years all MI local health departments have reported on an annual basis on their permitting and regulatory actions concerning onsite wastewater systems. Unfortunately the same data quoted in then Governor Granholm’s 2004 address is routinely requoted without the benefit of revision. “The Michigan Department of Environmental Quality (DEQ) estimates there are 130,000 failing systems currently operating in Michigan. That represents about 1-in-10 of more than 1.3-million systems installed statewide. This sounds quite alarming until you realize almost the identical quote was published in 2013, 2006 and 2004. Hyperbole and disputed findings have certainly muddied the receiving waters of a true scientific discussion – with sentences such as “Despite the tremendous public health threat posed by these failing systems, Michigan is the only state in the country without a uniform septic code.” ‘Tremendous public health threat’? Really? Do we believe that? We all can agree that direct exposure to raw human sewage DOES pose a risk to public and environmental health but if this is how all onsite wastewater treatment systems are portrayed in MI that flies in the face of US and international research technology and regulation. There are reasons the average life expectancy has doubled in this country in the past 100 years – and certainly a better understanding and implementation of onsite sanitation and safe drinking water technology plus local regulatory oversight is one of them. Properly performing, appropriate onsite wastewater systems are not the ubiquitous stinking hole in the ground that have been portrayed – they provide equal and often more affordable options for small community treatment and safe dispersal. They are part of the water cycle itself. At issue here today is how to define when they are not performing and how to bring them back into compliance – and perhaps more to the point – how will we pay for this? The push to enact a statewide baseline code complains that MI is the only state without one – we will be looking today at the experience of a close neighbor to see if indeed this is necessarily a bad thing, or an empty piece of rhetoric. In 2004, our organization had 2 of our Board of Directors on a substantive stake holder group that met in public, published it’s Minutes and discussion documents, but ultimately could not agree on what was enforceable, affordable or necessary. Several attempts have taken place in the intervening years – all driven by differing agendas and desired outcomes. But ultimately it all comes down to the money – who will pay and who will be paid for doing this? And if a system is found non compliant – where are the funds to assist the property owner to repair or replace and come back in compliance? There’s not much point in beating people over the head without also offering a way to fund this. With the advent of the current process, and in light of many misconceptions and evident distrust – our organization was asked to conduct this round table discussion – to look at the actual draft MICode which has now become widely publicly distributed. The timing is appropriate as we head into the March 11-17 Sunshine Week – it is our belief that consensus based on civil discourse is never a bad thing. In 2004 we published a set of proposed compromises- suggesting that, rather than a statewide one size fits all approach, a regional water management structure be established, lead by local health agencies. Now, 14 years later, with the concept of ‘one water’ management endorsed by almost all major water environmental agencies, it would seem an appropriate time to take another look at allowing for that kind of regional approach to identifying water management based on soils, geology and demographics. Here we would like to give a shout out to the NW MI Health Department because that’s what they’ve done and it seems to be working extremely well for them. For the past three years we have been active partners in the Great Lakes Commission ‘Fractured Waters’ initiative – to identify cost effective means to implementing water management across political boundaries. 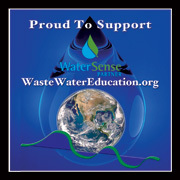 Hence our logo – that water is water not waste. When we talk about ‘disposal’, which I hope will be replaced throughout this document with ‘dispersal’, – exactly what do we think ‘it’ is and exactly where do we think ‘it’ goes? This flies in the face of a basic understanding of biology. So until we pass legislation to prohibit human beings from having bodily functions we will need to have this serious discussion on how health departments can address this issue. Looking at the second draft numerous questions dealt with sections that really belonged to the rule making process. This first session started at a disadvantage as it was not known that a third, and indeed a fourth draft was in preparation. See the following page detialing the next public forum held on March 14, 2018. It became obvious that the granular detail contained in the second draft was not well-thought-out, contradictory, and would pose significant regulatory and the enforcement difficulties. A question was asked about the listing of concerns already assembled by MI EH Directors – here is that list. The number of “failed” systems would burden LHDs due to the volume of permitting and inspection activities involved and lack of personnel resources. It is anticipated there will be many hardship situations – will the funding be adequate to alleviate this need? The timing of what happens when was confusing in the document. Depending on the particular LHDs there are either concerns or opportunities provided by phasing in the requirements. The process to determine when a property meets a trigger in Section 5010 (C) (D) is not understood and could be problematic. POS should be considered as another trigger in Section 5010. Include a reporting requirement (owner?) that would document the action taken as a result of the inspection findings (for issues that would not require a permit from a LHD). There should be some time requirement for submission of this report to allow for proper enforcement. Section 5016 allows for the Department to enter into agreements with LHDs and “otherpersons”. Would like to see language that indicates LHDs are granted the right of first refusal prior to agreements with “other persons”. Not enough qualified staff currently, and not enough time to train within the specified timeframe. DEQ isn’t properly staffed to provide the training. The requirement of a 4-year degree for qualified staff at LHDs is essential. Serious concerns if the state will be able to develop or obtain/sustain the tracking database in a timely manner. Who is going to enforce the evaluations every ten years (20 years after the effective date)?There is major concern this may fall to LHDs to administer. Not enough MDEQ staff to perform enforcement or evaluation functions. Voluntary compliance would be anticipated to be minimal. This legislation would require a time consuming and resource intensive enforcement program for potentially over a million homeowners every decade. Population of jurisdiction and availability of businesses serving this need will determine ifLHD performs the inspections and the need to train staff. For a period of time there maybe a shortage of registered inspectors. Concerns with pumpers ability to perform adequate pump-out inspections (Sec 5012). Does the state have the infrastructure (Septage Receiving Stations) in place to handle increased volume of septage waste? Are we creating more environment issues with increased land applications? May force local code revisions to become an “authorized” LHD. Depending on the outcome of rulemaking many LHD permitted systems may be in non-compliance. Required phase out or repeal of local POS ordinances. Definition of conventional system limits to non-uniform distribution. Are all pressurized systems then considered “alternative”? The definition of an “approved on-site wastewater treatment system” should include verbiage that it was both permitted and inspected at time of construction. There was considerable discussion of what constitutes a ‘conventional’/ ‘alternative’/ ‘advanced’ treatment system as what is viewed as appropriate to one jurisdiction may be entirely different in another, and rightly so based on local soils and geology. With this, as with so many of the ‘definitions’ contained in this Second Draft, how to arrive at a universally accepted standard of language will take some time. It must be noted that the Third Draft only became available 3 hours before the second round table discussion session and although it was posted in the meeting room, no one had had a chance to compare the 2 versions or see what had been changed. “The Representative and I have been working diligently on getting language ready for introduction. We are currently on a draft 4 and therefore we will not be participating in a discussion about our second draft. We are very close to introduction at which point the legislative process allows for public comments. After introduction, the bill will be made available to the public and we anticipate thorough discussion and modifications through the committee proceedings. We thank you for your interest and we look forward to continuing through the legislative process with this legislation. In the first session MDEQ referred to Governor Schneider’s 5 priority areas in the Michigan Water Strategy, a 30-year vision for the protection, restoration, and wise management of Michigan’s water resources. A full PDF may be viewed here by following this web link. A question was raised about the coordination of databases kept by different local government departments. Such as, equalization, register of deeds, issuance of building permits, planning and zoning with reference two property descriptions and land splits. In the food draft it does appear that a building permit cannot be issued without a construction permit from the health department for an on-site system. But it is not clear is this only refers to new construction as opposed to an addition or expansion. If 8 hours of field soils training is required – it should be done in local soils, otherwise not much use? And as Draft 2 used the term ‘measure of demonstrated competency’ it was noted that what that constituted was not listed. The specter of inevitable litigation is all too evident – with political bias and undue pressure being bought to bear on local health departments to loosen their conservative rules when faced with less stringent minimum statewide standards a certainty. When significant increases in size and use of a small property are proposed, a wealthy litigant could seriously financially impact local health departments. Land use and property use should be managed via local planning and zoning law – and development refusal should not hide behind, or use as a justification for denial, local health codes. Perhaps the biggest point of contention is the process itself – closed door meetings with no published Minutes or notes, a selected group of ‘advisors’ and a lamentable lack of transparency. As this is an election year, and all MI House representatives are on the ballot in November, comments were made that this legislation will either be fast tracked to approval in record time or inevitably die and have to be reintroduced in 2019. Either way – the degree of distrust and disagreement this process has created could have been so easily avoided.